Christmas is rapidly approaching, which means putting up Christmas trees, shopping, and spending time with loved ones. But before you know it, Christmas will be in the rear view mirror as well and that begs the question… Do you have plans for New Year’s Eve? The best way to bid farewell to 2018 is with your family and friends so you’ll definitely need enough space to celebrate. Don’t forget about food and drinks! We can worry about diets and exercise next year, right? Finally, you’ll need some great music to dance to as you countdown to 2019. Luckily for you, George’s at Kaufman Astoria Studios has all the ingredients to make your New Year’s Eve celebration a special one. 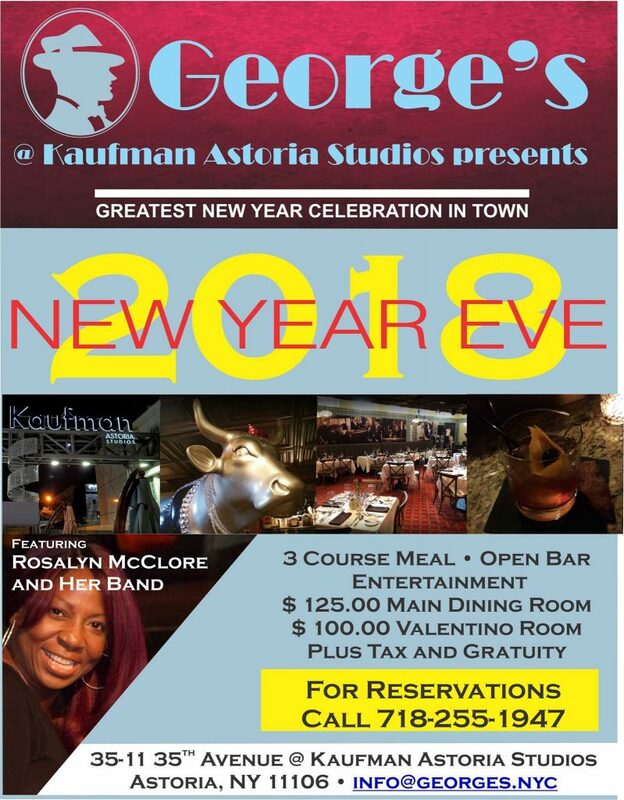 On December 31st, George’s is hosting a New Year’s Eve celebration that includes a three-course meal, an open bar, and music brought to you by talented jazz pianist Rosalyn McClore and her band. Formerly known as The Astor Room, George’s was renamed in honor of the late George Kaufman, the founder of Kaufman Astoria Studios. Previously highlighted by Thrillist and Edible Queens, this unique event space is known for its Hollywood style atmosphere, celebrity-based dishes, and specialty drinks. Guests can reserve seating in the main dining room and the private Valentino room, which can accommodate up to 70 and 40 people respectively. 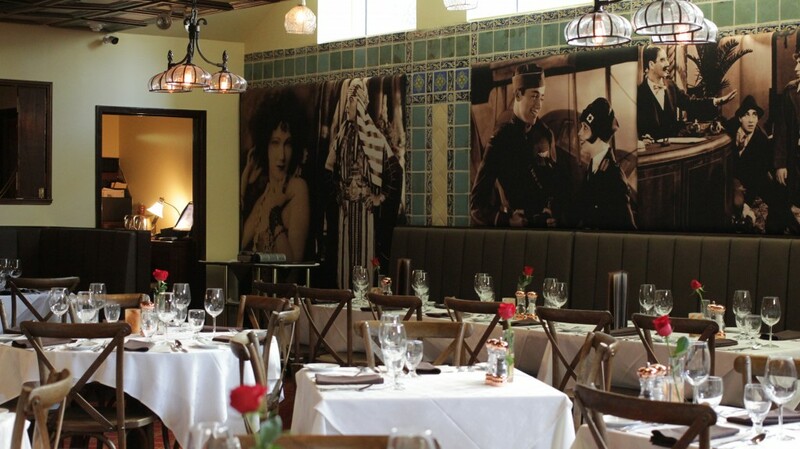 Make a reservation at George’s today and ring in the new year as you revisit the old Hollywood charm still alive in the city today.